This is part four of the 7-part video series on how to wire a switch: from rough-in to finishing. In this video post, I explain and demonstrate the proper method for splicing the neutral conductors. Making a proper splice is a basic skill that you must have in order to properly complete most tasks when it comes to electrical work. A large majority of problems that occur within an electrical system can be traced back to a bad connection, or a poorly done splice in wires. Here we tackle all the neutral (grounded) conductors in this two-gang switch box. The next video post of the 7-part video series on how to wire a switch: from rough-in to grounding will go into the proper methods for splicing and pigtailing the hot conductors. Click here to view. 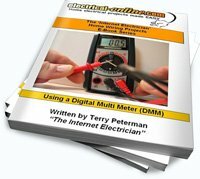 This entry was posted in How-To-Videos and tagged conductors, DIY wiring, how to wire a switch, neutral, pigtailing, splicing neutral conductors, wire, wire a switch, wire nut, wiring. Bookmark the permalink.